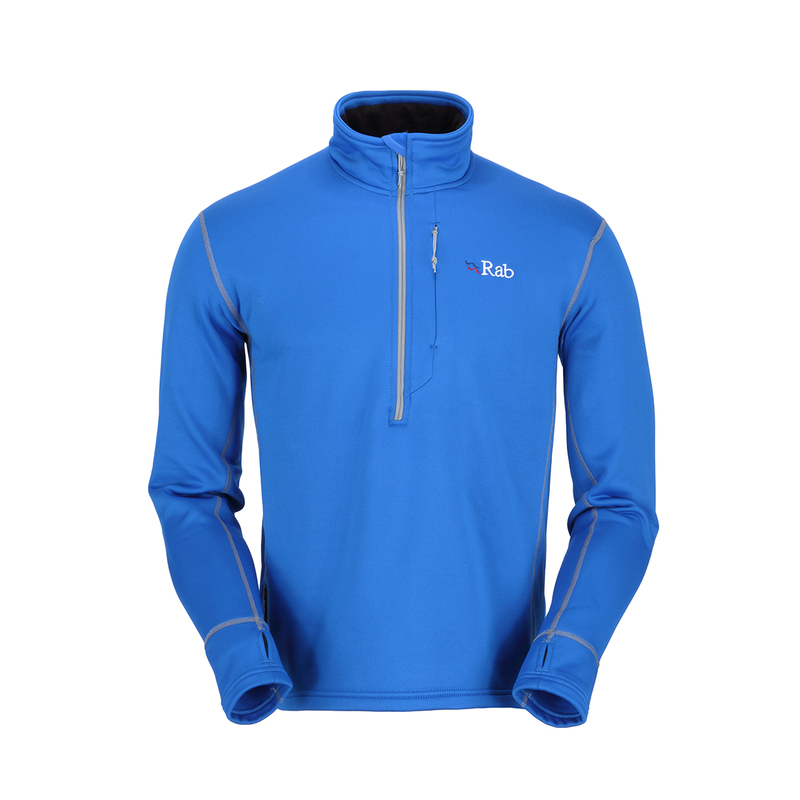 The Power Stretch Pull-on from RAB is a soft, mid-layer fleece to protect you from cold year round while climbing, skiing, or in any other mountain adventure. Its slim cut was designed to accommodate a lightweight base layer underneath. Polartec Power Stretch is a four-way stretch thermal fabric, designed to be as stretchy possible while still retaining its original shape. While most elastics become damaged when they are overstretched, Polartec use extra resilient elastic fibres which will always come back to their original form undamaged. This means that garments will fit better for longer and allow an uninhibited range of movement, while still providing all the warmth, breathability and comfort of of standard Polartec fabrics. Because of its unique two-layer construction, Power Stretch can be worn comfortably next to the skin or as an outer layer in milder weather.